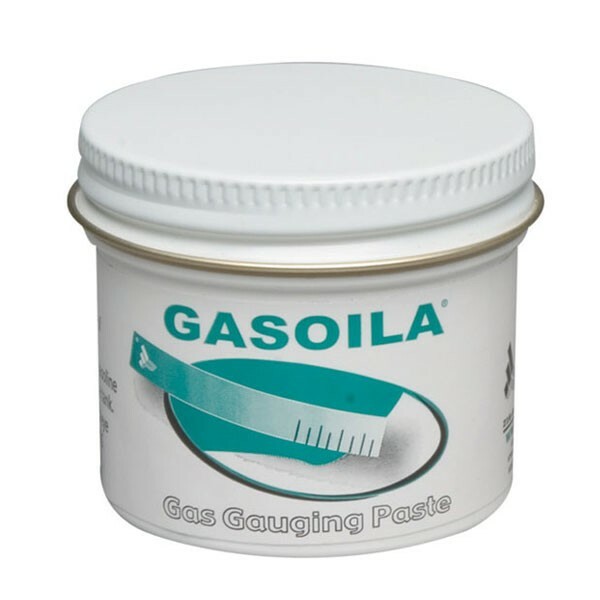 Gasoila GG25 Gasoline Gauging Paste indicates the level of gasoline, naphtha, kerosene, crude and refined oils, jet fuels and a range of other commonly stored liquids. Paste will turn from green to white. 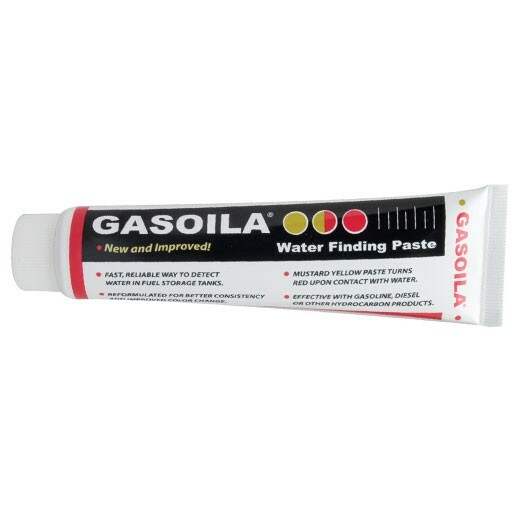 Gasoila WT25 Water Finding Paste quickly and accurately detects water in fuel storage tanks. The mustard yellow paste turns red upon contact with water. 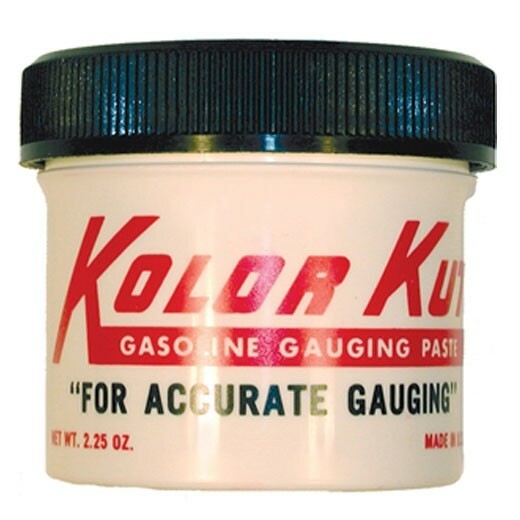 Kolor Kut Gasoline Gauging Paste is used to gauge for gasoline, crude oils, kerosene, Jet Fuels, Naptha and various other gas oils and chemicals. 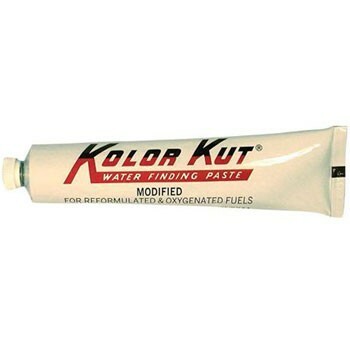 Kolor Kut M-1070 Standard Water Finding Paste effectively detects the presence of water in petroleum and by-products; petrol, diesel, kerosene, gas oil, heating oil and lubricating oil. 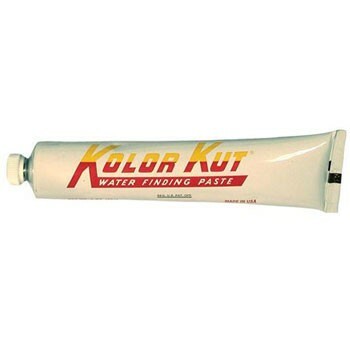 Kolor Kut water finding paste is golden brown in color and turns brilliant red upon contact with water. 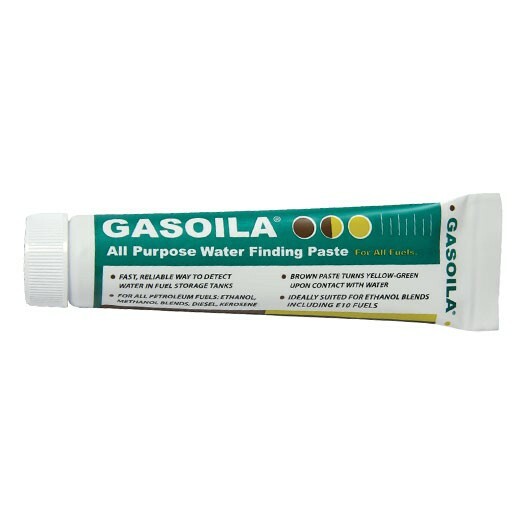 Gasoila AP02 All Purpose Water Finding Paste is reformulated for better consistency & improved color change, this product quickly and accurately detects water in fuel storage tanks. The paste will turn yellow-green in the presence of water.